MK calls on European Union to adopt 2004 "Working Definition on Anti-Semitism" to prevent anti-Semites from legitimizing hate. MK Shimon Ohayon (Likud-Beytenu) has urged European diplomats to prevent anti-Semites from taking over the discourse over anti-Semitism, urging them to push for the implementation of the "Working Definition of Anti-Semitism" adopted in 2004 by the European Union Monitoring Centre on Racism and Xenophobia (EUMC). Ohayon, who chairs the Knesset Lobby for Fighting Anti-Semitism, was speaking to a European delegation which included several Members of the European Parliament (MEPs) and the EU's Deputy Ambassador to Israel. Citing a soon to be publicized study by the EU's own Fundamental Rights Agency (FRA) - which replaced the EUMC in 2007 - which will show a significant rise in anti-Semitism over the past five years, Ohayon noted that "Anti-Semitism in Europe is at its greatest peak since the end of the Second World War." Insisting that "Europe needs to deal more seriously with this rise in hate, which is creating an untenable situation for the Jews of Europe," Ohayon called for the official adoption of the 2004 definition as a way of preventing anti-Semites from dictating the very definition of anti-Semitism to legitimize their hateful agendas. "To really fight anti-Semitism, the European Union first needs a fundamental definition which law enforcement agencies and judicial bodies can use to prosecute those who target Jews and Jewish institutions," he said. "The lack of a unified and vigorous definition means that anti-Semites will continue to act with impunity knowing that their actions can not be prosecuted," MK Ohayon explained. "We must not allow anti-Semites to define hate. Jews need protection before the law and the law needs guidance or it will be rendered useless and irrelevant." "There are many anti-Semites who have been fighting against the ‘Working Definition’ for many years so they can continue their attacks on Jews and the Jewish State. The European Union needs to tell these people that their racism and hatred will no longer be acceptable and their actions will be punishable before the law." - Denying the Jewish people their right to self-determination, e.g., by claiming that the existence of a State of Israel is a racist endeavor. - Applying double standards by requiring of it a behavior not expected or demanded of any other democratic nation. - Using the symbols and images associated with classic antisemitism (e.g., claims of Jews killing Jesus or blood libel) to characterize Israel or Israelis. It is some or all of these points which have faced fierce opposition from radical anti-Israel groups, many of whom stand accused of hiding an anti-Semitic agenda behind attacks on the State of Israel. 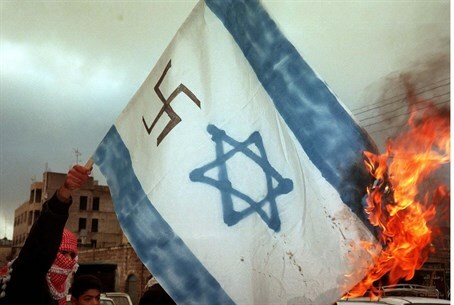 Some of the most vocal opponents of the 2004 definition of anti-Semitism include radical anti-Israel groups, many of whom have been accused of hiding an anti-Semitic agenda behind attacks on the State of Israel. For the full draft on the 2004 "Working Definition of Anti-Semitism", see here.